i-tus features a broad range of system modules built to aid operators in the day-to-day running of their organisations, from aiding in the tracking of staff qualifications and ongoing training, to assessing water quality and site operational safety. Assess water quality in real-time. Want confidence in how you test and record your pool water quality? Built in conjunction with STA’s in-house experts and industry partners, our groundbreaking Pool Plant program allows you to do just that. 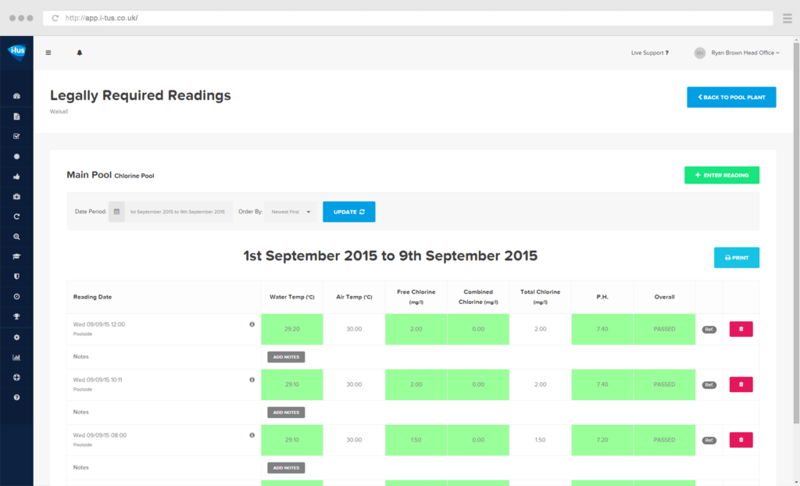 You can now input, interpret and manage pool water testing in real-time.